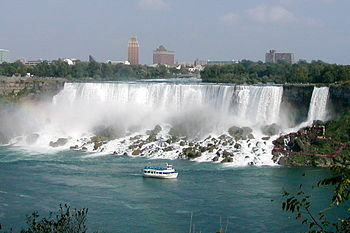 Take a ride to the US Canadian Border and visit Niagara Falls State Park on the New York Side of the Border. It is the oldest state park in the US. 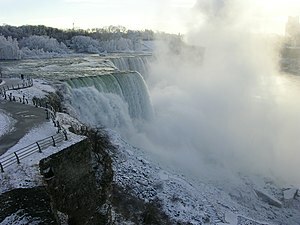 Niagara Falls State Park is located in the City of Niagara Falls, New York in Niagara County. 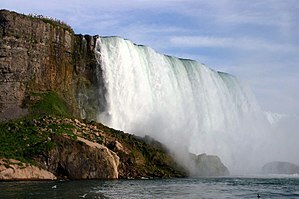 You can visit three spectacular waterfalls: the American Falls, the Bridal Veil Falls, and part of the Canadian Falls. 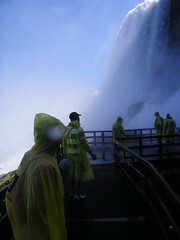 The park also overlooks the Niagara Gorge and allows access to the Maid of the Mist tour boats, Cave of the Winds, and other attractions of Niagara Falls. Go to the Top of the Falls Restaurant for a Vino con Vista and then head over to the gift shop. Terrapin Point is an observation area at the northwestern corner of Goat Island, next to the Canadian Horseshoe Falls. 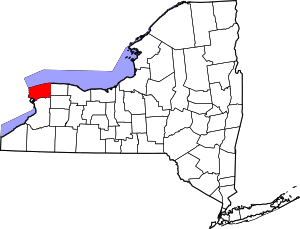 It is one of two major observation areas to overlook the falls and lower Niagara Gorge on the New York side, the other being Prospect Point further downriver. At Terrapin Point Horseshoe Falls the Crestline is 2500 feet with a height of 167 feet. 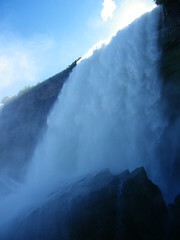 The summer daytime flow is 675,000 gallons per second. 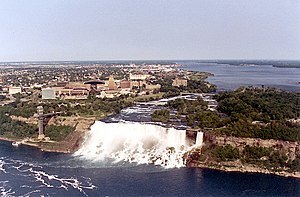 View of the American Falls and the Bridal Veil Falls from Luna Island. beautiful pictures! The falls are always stunning, no matter what time of year! Thanks! What a spectacular place.